's vision is to build a diverse economy that enjoys strong, sustainable growth, by attracting investments from the domestic and foreign markets that will create wealth and raise the standard of living for the people of Ras Al Khaimah. RAKIA's mission is to offer complete solutions to the needs of every investor and provide value and customer satisfaction, ensure minimum transaction & conversion cost, enable businesses to flourish in the quickest possible time and to make investment in Ras Al Khaimah simple, easy and a pleasant experience. The growth is driven by increased focus on manufacturing, services, real estate, construction and tourism. The mandate of RAKIA is to develop and manage the industrial parks which includes the free zones and industrial zones in the Al Hamra and Al Ghail areas of Ras Al Khaimah. Across this region free trade zones have traditionally been viewed as real estate ventures, primarily issuing licenses, however, RAKIA went the extra mile not only being a facility provider but also offering investment advisory services and equity participation on selected projects. This has resulted in an atmosphere of trust among investors and generated a solid network of opportunities. As a result of that within a span of 3 to 4 years of its inception, RAKIA has been instrumental and attracted over US$2.5 billion in industrial investments alone, powering an unprecedented economic surge that has made Ras Al Khaimah as one of the fastest growing emirates in the UAE and the region. After successfully running industrial parks in Ras Al Khaimah, RAKIA is setting up a Free Industrial zone in Georgia (Eastern Europe), under the aegis of a subsidiary company of RAKIA. This is the first free zone in the Caucasus Region and is strategically located for easy access to the EU, Central Asia and Caucasus/ Eastern European markets. The free zone is being established next to the Poti Sea Port, which is also a subsidiary of RAKIA, the largest sea port in the Black Sea region and offers tremendous supply chain cost advantage for movement of goods. 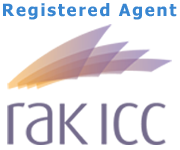 Apart from Industrial Parks, RAKIA has structured itself along several other strategic business units. Each business unit is headed by an experienced professional who is ultimately responsible for the overall performance of all the companies under their business units. They are empowered to act independently and possess the necessary authority to make executive decisions that are in the best interest of RAKIA. The primary mandate of the investment committee is to formulate investment strategy, investment criteria and investment guidelines for investments undertaken by RAKIA. With a favourable geographical location at the crossroad of trade between the East and West, the excellent infrastructure, strong government support towards the private sector, and not to mention its unmatched natural beauty, it is no surprise that the emirate of Ras Al Khaimah has emerged as a destination of choice for investors and leisure travellers alike. Ideally positioned to service and access markets like the Middle East, Africa, the Indian Subcontinent and the CIS countries, Ras Al Khaimah has become a growth-driven emirate with an increased focus on manufacturing, services, real estate, construction and tourism. Although the drive to attract foreign companies has been a recent development, RAK has long been one of the industrial centres of the UAE. The industrial sector has been dominated by the three main industries of Cement, Ceramics and Pharmaceuticals. The sector has diversified in the recent years especially since the creation of free zones as well as partnerships between government and foreign investors. Ras Al Khaimah has a natural advantage when it comes to the production of cement as the Al Hajar mountain range holds vast supplies of high quality limestone, which is a key raw material for cement manufacturing. The emirate is also rich in other raw materials such as clay, quartz and other minerals. The pharmaceutical industry in RAK is about 30 years old and has been one of the key focus areas of government plans since several years. The industry in RAK is dominated by the Gulf Pharmaceutical Industries, known as Julphar. The company has grown into a pharmaceuticals giant by Middle East standards and now exports to over 80 countries. Julphar is the biggest pharmaceuticals manufacturer in the UAE. What RAK lacks in oil is somewhat compensated for by its natural mineral water resources. RAK is the origin of Masafi mineral water brand, the region's leading mineral water brand, with its source lying in several rich underground springs in the mountainous city of Masafi. Masafi water, has developed into an international brand which exports bottled water and fruit juices to more than 20 countries. RAK Ceramics is the single largest, state-of-the-art, ceramic tile manufacturer in the world with its 12 plants spread across the UAE, India, Bangladesh, Sudan, Iran and China, producing over one hundred million square meter of tiles and 3 million pieces of sanitary-ware annually, exporting to 135 countries. The UAE operation is the largest single location ceramic manufacturing facility in the world with more than 6,000 active models in the ceramic and porcelain tiles segment, and an exclusive range of more than 600 active models of sanitary ware to offer with a wide choice in designer bathroom sets, wash basins, bathtubs and related items. RAK Ceramics has diversified horizontally by forming several joint ventures including Kludi RAK LLC, RAK Porcelain LLC, Laticrete RAK LLC and many more in Ras Al Khaimah. The Government of Ras Al Khaimah’s constant endeavor to enhance infrastructure facilities across the emirate has been a major factor in attracting major foreign investments to Ras Al Khaimah. With a well-planned road network, an international airport, fully equipped seaports, and advanced communications network, Ras Al Khaimah is well-positioned for rapid socio-economic growth.